Dee Roscioli (former Elphaba – 1st Ntl. Tour, Broadway; former s/b Elphaba – San Francisco, Chicago) has been cast in Second Stage Theatre’s upcoming production of LITTLE MISS SUNSHINE. Ms. Roscioli will be the standby for the role of Sheryl Hoover, played by Stephanie J. Block (former Elphaba – Broadway, 1st Ntl. Tour; former ensemble, u/s Elphaba – Pre-Broadway). As previously announced, Josh Lamon (former Boq – 1st Ntl. Tour) will also perform in this production in the roles of Buddy and Larry. LITTLE MISS SUNSHINE begins performances at Off-Broadway’s Second Stage Theatre October 15. An official opening night will be announced at a later date. Update: Ms. Roscioli will also be covering the roles of Miss California and Linda, played by Jennifer Sanchez. For tickets and more information, visit 2st.com. 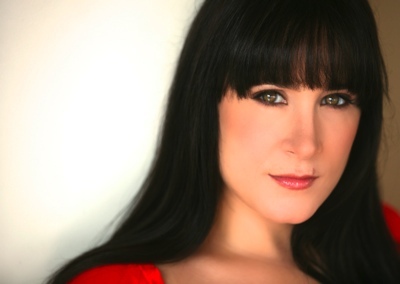 This entry was posted in Performer News and tagged Dee Roscioli, Stephanie J. Block. Bookmark the permalink.